Set up in 2001 Channel Six Dundee was an innovative TV music and arts channel broadcasting to those parts of Dundee reached by the Tay Bridge transmitter. Where available, the signal was easy to receive on portable as well as main TV sets. Viewers could dial up and select the music videos they wanted to appear on air across the City. With this local engagement viewers shaped the selection of content and local bands as well as artists were encouraged to provide their own music videos and short arts films. Each week on Channel Six the Viewers’ Choice Top Ten programme screened short extracts from the most watched clips and often included the videos from local bands. For the under 35s Channel Six Dundee was the most popular TV channel in Dundee. 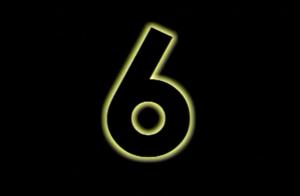 Alongside sister channel Edinburgh Television, Channel Six pioneered short previews of exhibitions and plays. Those early arts-news clips form part of the archive of the Internet TV channels that we launched in 2012, starting with www.summerhall.tv and followed by www.artinscotland.tv, www.writerstories.tv and www.craftscotland.tv. The local TV archive is also in the collection of the National Library of Scotland. The Summerhall TV archive includes recent programmes on the Traverse Theatre, Louise Bourgeois, plays by Clout Theatre and reflections on the Richard Demarco Archive and stretches back to include the 1980s Red Star Cinema news and documentaries shot on Super 8. It also,includes examples of local TV programming and discussion on local TV from around the world filmed throughout the 1980s and 1990s. Other films were made or collected throughout the 1980s and 1990s by the Institute of Local Television while lobbying for local TV to be introduced to the UK, and in particular to Scotland. In 2015 it remains to be seen whether the traditional linear local TV channels with limited interactive engagement of local viewers will eventually converge with those .tv channels that opened up with the Internet and social media. Will linear and Internet TV together provide comprehensive local and community of interest networks that overcome technical as well as regulatory boundaries and restrictions to secure and satisfy local viewing demands.